TULSYAN JEWELLRY is among the leading jewellers in Ranchi, Jharkhand who have chosen to step out of the crowd and make a bold foray into creating an institution out of business. This journey of success with its retail showroom in Main Road, Ranchi. It now proudly owns professionally managed showrooms that reflect the foundational philosphy of TULSYAN JEWELLRY with bold new plans for more.... view our enhanting collection. 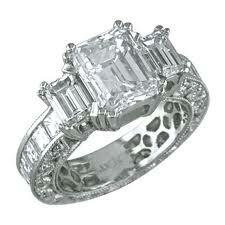 Our products comprise of Gold Jewelry, Silver Ware, Diamond Jewelry and Platinum Jewelry. TULSYAN JEWELLRY is a BIS license holder ever since the Hallmarking Scheme was introduced in Ranchi, Jharkhand. We offer an extensive range of designs in gold and diamond jewelry picked exclusively from various parts of our country. ROSPA TOWER, M.G MARG, MAIN ROAD.